Watch the Documentary about the making of Granite Falls: Saturday Nights! CLICK HERE for the Many Faces of Granite Falls: Saturday Nights! CLICK HERE for memorable moments from Granite Falls: Saturday Nights! 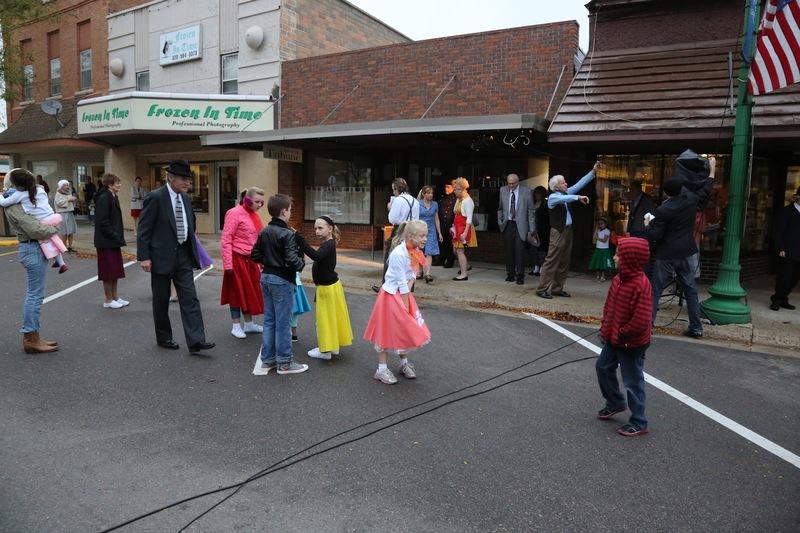 On October 4th, during the 2013 Arts Meander Opening Night Celebration, local community performers starred in an original, interactive, walking theater production in downtown Granite Falls, highlighting the history of Main Street and the community’s revered ‘Saturday Nights’ of the 1940s and 50s. 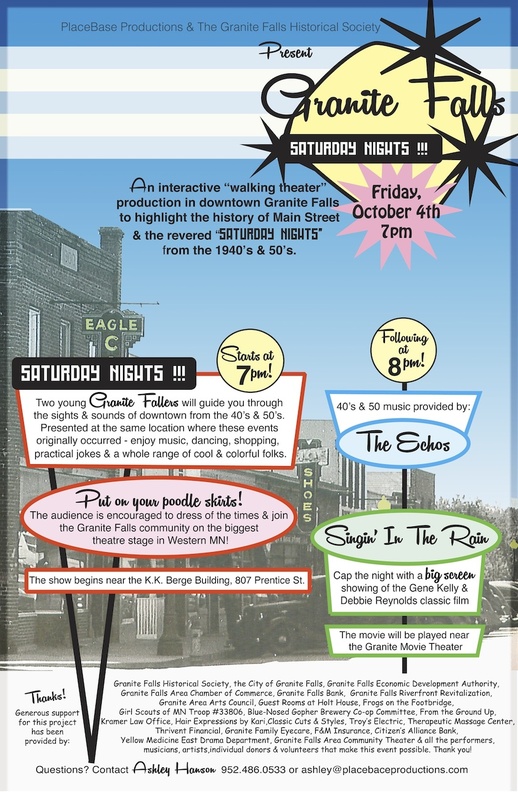 Produced by PlaceBase Productions in partnership with the Granite Falls Historical Society and Granite Falls Riverfront Revitalization, this production transformed Main Street into a multi-stage play-space filled with vintage marquees, classic cars, and photographs from the era. This one-hour production began at 7:00pm and culminated with live 40s and 50s music by the 21-piece big band, The Echo’s. The performance was free and many audience members dressed of the times! 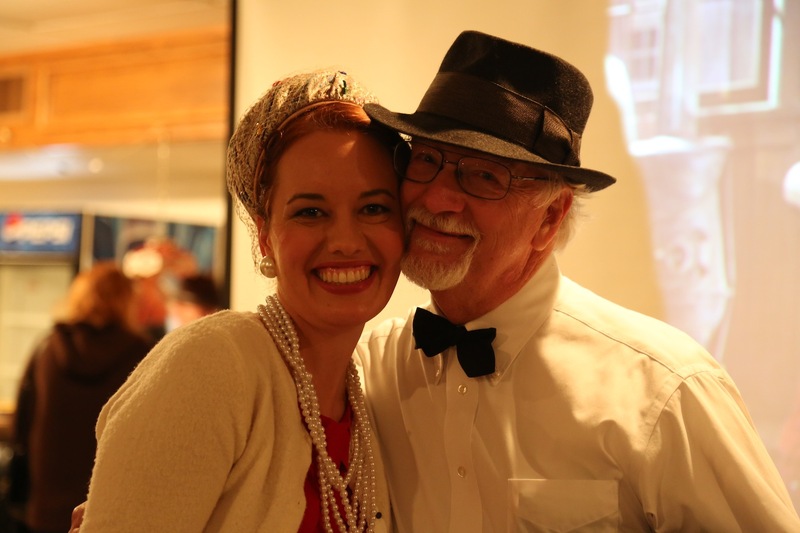 In the last year PlaceBase Productions has set the history of Granite Falls onto the stage in three community-based, site-specific musical productions, each play leading audiences on a theatrical journey into the collective memory of this great town. The first walking theater production was staged on the town’s river walk and traced the history of Granite Falls from the last Ice Age, telling the stories of its origin on the Minnesota River. The next paddling theater production put the audience in canoes on an 8-mile stretch of the Minnesota River with the performers on the river’s bank to tell the strange story of how Granite Falls became the County Seat in the 1870s. 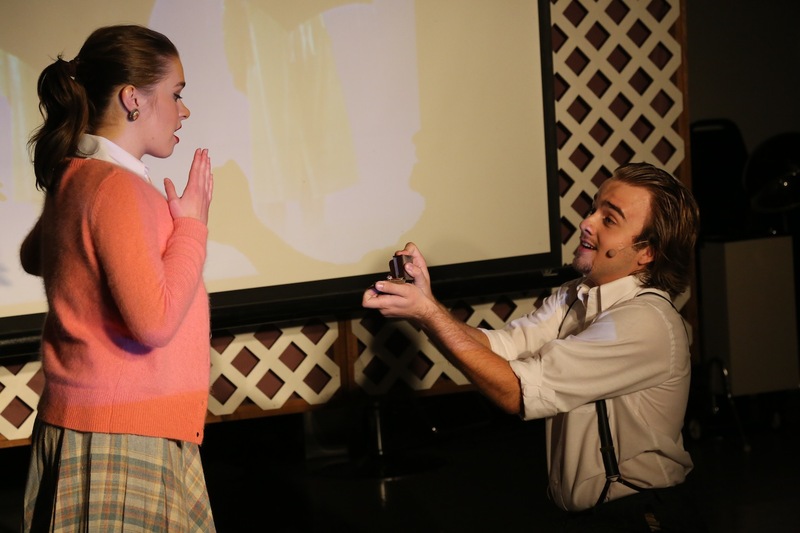 Building on the others, this final play in the Granite Falls trilogy presented a story of self-discovery and young love, transporting the audience to the town’s cultural and economic heyday of the 40s and 50s. Just as the first two plays happened on the very spots where significant events occurred, so Granite Falls: Saturday Nights! 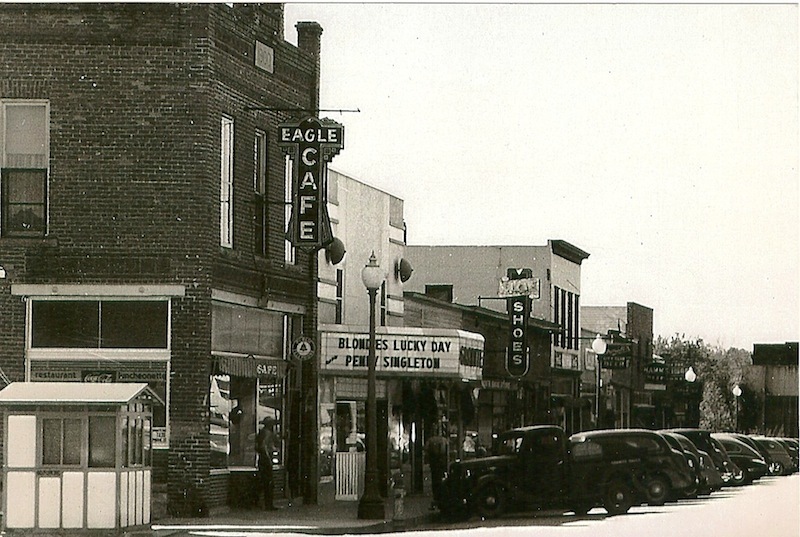 drew audiences through the streets, shops and theatres of the historic downtown. For one hour this two-block-long theater stage was thrumming with living history as two young people of the era led visitors through a puzzle of stories from one ‘not-so-average’ Saturday night. With scenes and music performed by regional actors, in the height of an era that prized local humor, jazz music, and the best pie in the world, this walking theater production presented a unique and unforgettable experience of Granite Falls in its prime. 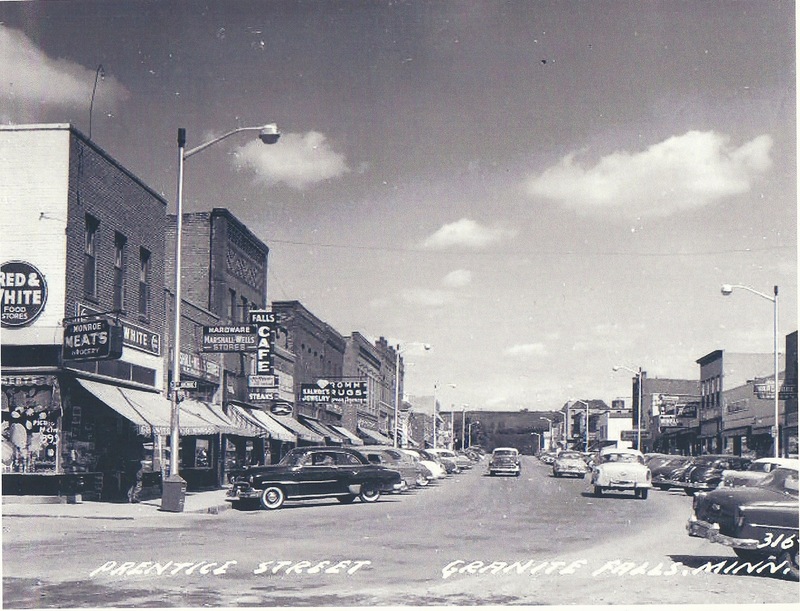 In line with PlaceBase Productions goals of revitalizing rural communities through theatrical productions, the performance sought to provide a creative forum for the community of Granite Falls and the surrounding region to learn about the history of Main Street and revisit a time when it was thriving, to encourage revitalization, expand tourism, and excite interest in preserving the history of the area and the downtown buildings and businesses. Granite Falls: Saturday Nights! was performed at 7:00pm on Friday, October 4th. The performance started at 807 Prentice Street and finished at the American Legion Post 69 , Granite Falls, MN. This project was fully funded by the community of Granite Falls. CLICK HERE for a full list of our local sponsors.